So we pulled up near to another Western Australian town called Exmouth the other day. 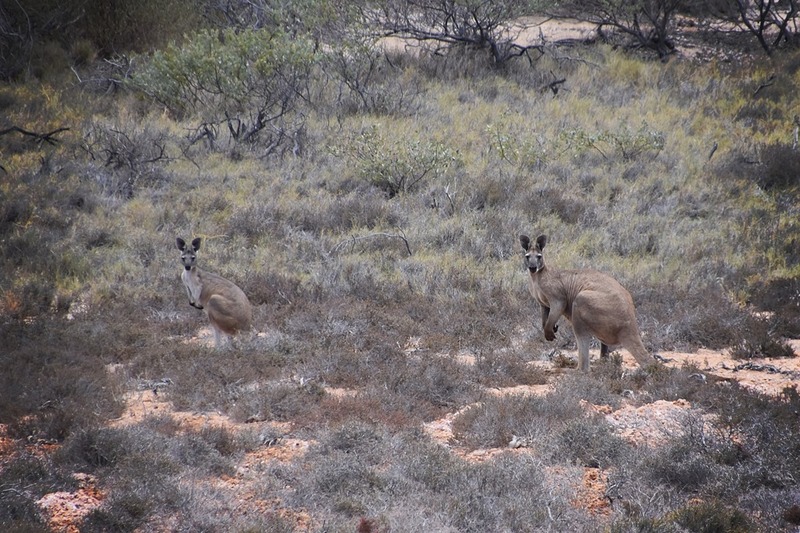 All a bit confusing considering we have an Exmouth hanging about on the South West coast of the UK… but the Australian one is a bit different (kangaroos for a start… not something that’s found on a regular basis in the UK). There’s only a couple of thousand people living in this Australian town and it’s also a few degrees warmer than it’s English cousin, with a record hitting near the 50 degree mark in January. Seeing as I had a few hours to kill this day, I thought I’d nip off on the bike again to see what I could discover. Now I’m not the only biker on board and a few of the other guys were getting prepared for a satisfyingly arduous ride to Turquoise Bay which was a good 35+ miles away. A 70 mile round trip on this particular day that was a sedate 35 degrees didn’t really appeal much. 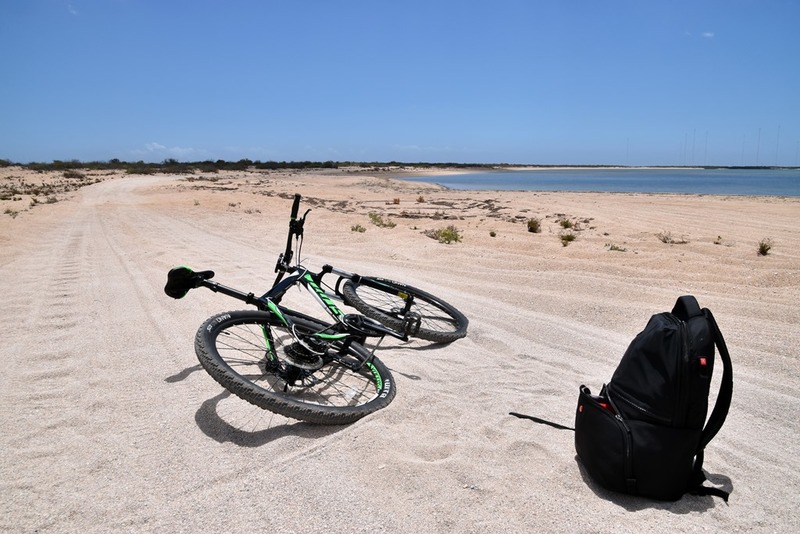 I did my best to decline and then basically just hid in medical center until they left the ship… at which point I grabbed my bike and headed off on my own on a much shorter 20 mile round trip… I know I know I’m a wimp!! Anyway, seeing as I didn’t have any specific end point to my journey, I decided to strap my phone/sat nav securely to my bike and headed out north of the town. 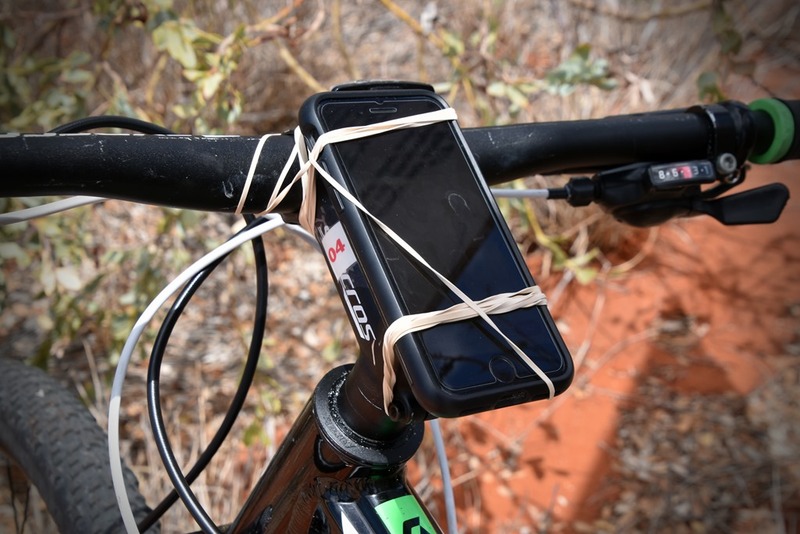 TOP TIP: Elastic bands will save you an easy 50 bucks on a pointless shop bought system for your bike. 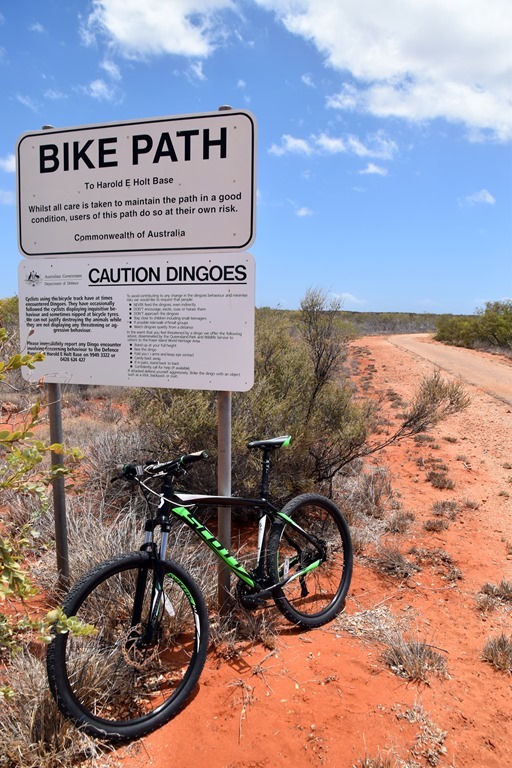 Now for those of you that can’t read the sign clearly… apparently dingoes may ‘inquisitively’ follow you. Dingoes are the Australian wild dogs. Wild. They may also ‘nip’ at your tyres. They say this isn’t threatening or aggressive behaviour. Despite the fact that this is clearly describing a hunt followed by them trying to disable your vehicle in order to eat you. I felt safe with this explanation. I mean it was after all a ‘bike path’ / ‘death run’. How bad could it be?! Thankfully I didn’t encounter any Dingoes and my tyres remained intact. I eventually took a turn off and ended up in part of the Bundegi Sanctuary Zone. This included a lot of wild open spaces with a beach. Kangaroos really know how to make you feel uncomfortable. I hopped (like a kangaroo) back onto my bike and peddled off. I decided I’d seen enough of Exmouth for today. The wildlife didn’t seem as friendly as the English cows and sheep I’m used to. I’d managed to avoid any Australian spiders and didn’t want to push my luck.